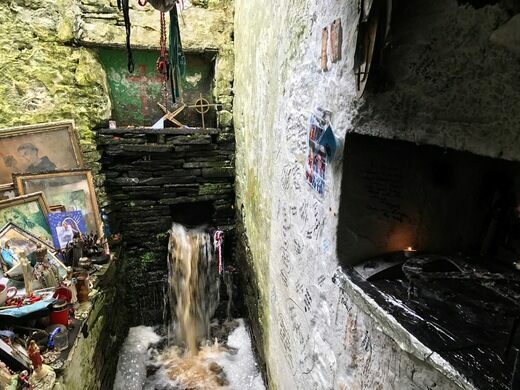 Ireland is full of sacred spots and holy wells. 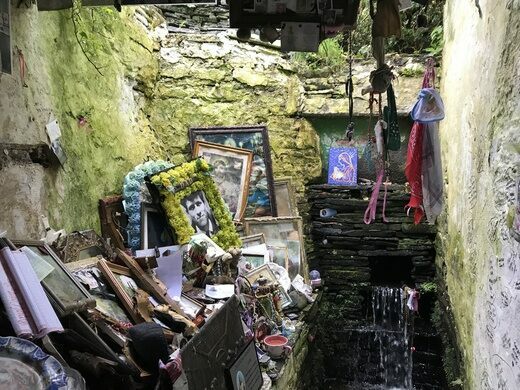 A 19th century survey stated that Ireland has no fewer than 3,000 holy wells and at least fifteen of them are dedicated to St. Brigid. However, few compare to the the one that is located between Liscannor and the Cliffs of Moher in County Clare. 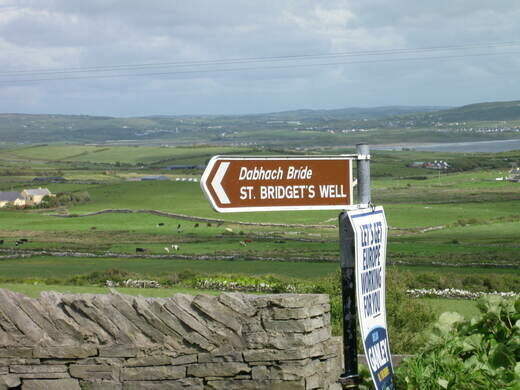 This St. Brigid’s well differs from the others in a number of ways. It is one of the oldest wells rumored to have healing powers and the running sound of the water is audible. 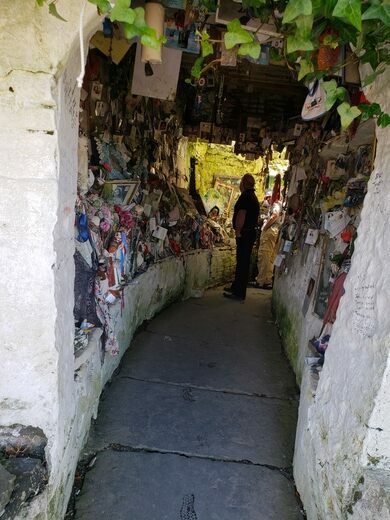 It is housed in an open stone house or grotto that serves as a gateway to the ancient cemetery on the hill above it, accessible through steep paths and old stairs. 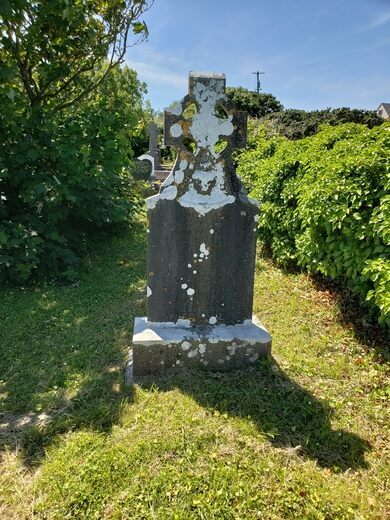 The graveyard is the final resting place of several mythical kings and clan leaders of Ireland. 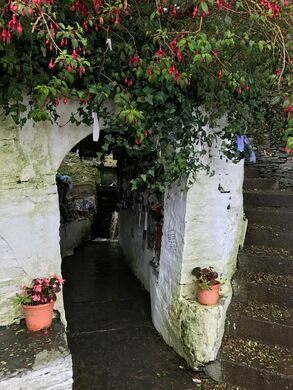 Some still celebrate Brigid’s roots by spending the pagan holiday of Lughnasadh in the circular sanctuary of this well. The natural beauty and the mysterious pull of this site make it special in a land known for its roadside shrines and mysticism. In Irish folklore, Brigid and her sisters also named Brigid are a triple Goddess and she is the goddess of higher ground, higher learning, and higher consciousness. 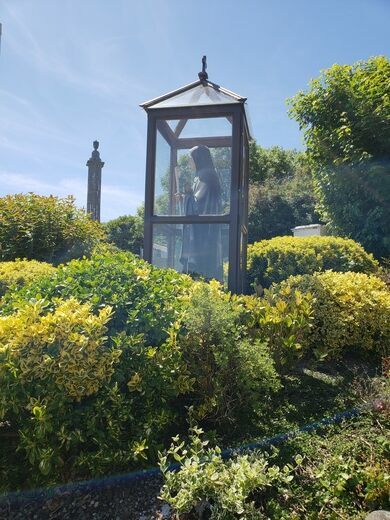 She is the patron goddess of the Druids and visible signs of Druid language and pagan worship are still seen in the well. 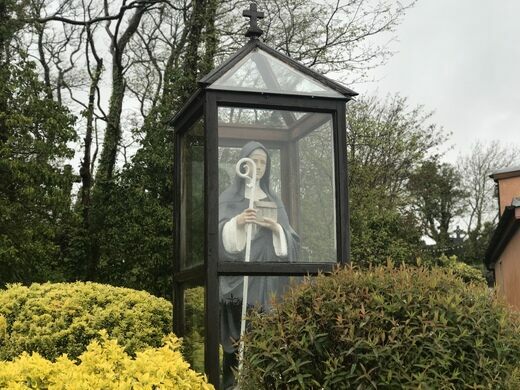 Unable to eradicate Brigid’s popularity with the Celts, Christendom renamed her Mary of the Gaels or Brigit who became known as the foster mother of Jesus. 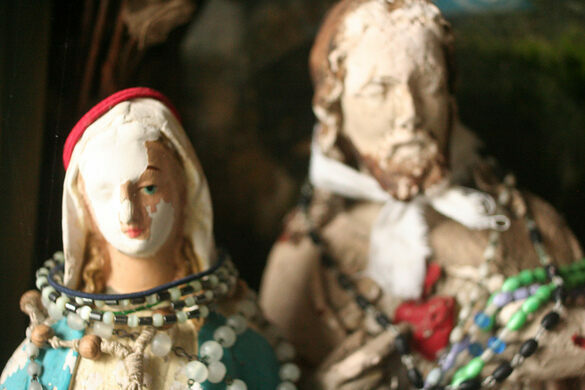 They placed statues in her dedicated spaces and canonized her in the 5th century, making her a saint. 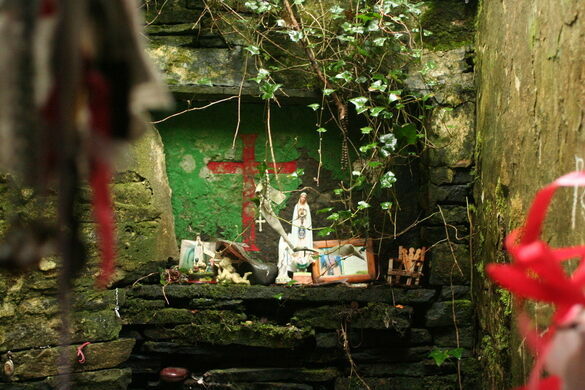 Her symbolic cross is seen throughout the countryside and the world. The well attracts visitors year round and does not lock or close at night. 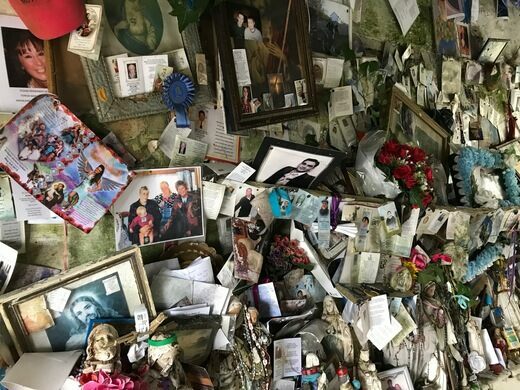 Thousands of mementos, rosaries, prayers and pieces of clothing have been left in the stone grotto of the well and they continue to spill out into the trees lining the path to the cemetery. 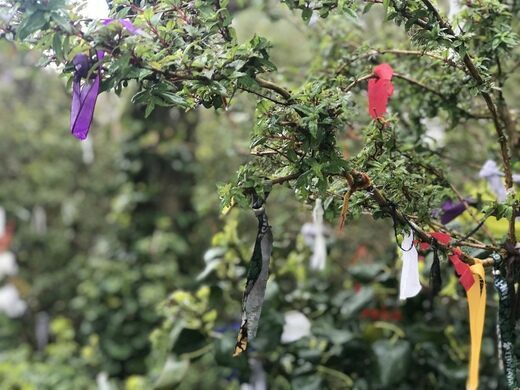 Votive candles are often lit 24 hours a day, left by locals and tourists alike. 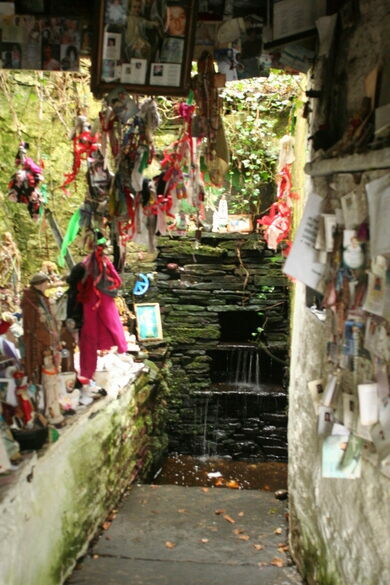 Traditionally, the water of this well should be sipped at the end of a visit to this shrine. R478 between Liscannor and the Cliffs of Moher.